It started as a seemingly innocuous day for many people. It was another damp Friday morning that began with snow flurries over UMBC’s campus. By the time the clock struck midnight on March 16, 2018, Cinderella had arrived and the greatest upset in sports history had occurred — #RetrieverNation had arrived. If you thought there was a chance, you probably tuned in to TNT for the opportunity to hear Jim Nantz and Grant Hill highlight the Retrievers on the national stage. If you saw a tweet on social media or got a text from a friend, you probably turned the game on at some point in the first half, and you kept watching. If you had any relation to UMBC whatsoever, you were probably glued to your television until the clock hit 0:00. If you were lucky, you were one of the 17,943 at the Spectrum Center to witness history live. Though it is unlikely that another UMBC sporting event will ever amass the millions of viewers that watched the pair of March Madness basketball games, demand for UMBC Athletics is at an all-time high as the largest ever incoming class of Retrievers begins their college career. Coincidentally, UMBC is entering year three of an 11-year contract with America East Conference universities and ESPN that allows for each school to produce in-house broadcasts of all their athletic events. “The AE on ESPN3” runs through until the 2026-2027 academic year, with plans to gradually expand the quantity and variety of offerings. Last year, UMBC broadcasted every home, in-conference men’s and women’s basketball game on ESPN3, with ESPN+ viewing eligibility. 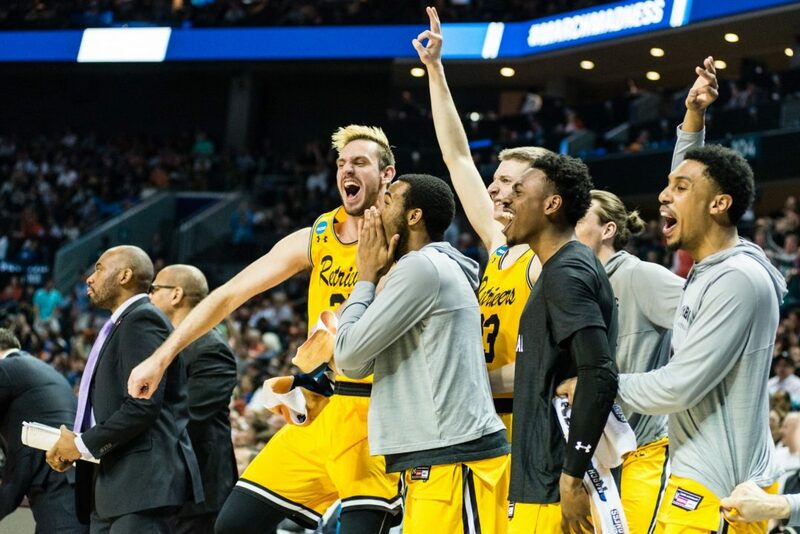 As the Retrievers look to build off the March Madness success on the court, UMBC Athletic Communications has made efforts to build off of this success as well, as the ESPN basketball offerings will be expanded to include non-conference opponents. Alongside basketball receiving ESPN3 coverage, Steve Levy, UMBC Associate AD of Communications, added that it is “likely” that volleyball, men’s soccer, and women’s soccer will have some amount of games broadcasted on ESPN3 this fall. No comment was made as to the opportunity for spring sports on ESPN3 at this point in time. What makes the in-house broadcasts at UMBC incredibly unique when compared to those of power five conferences, is that most of the broadcast is student-run and produced. UMBC Students working or interning with athletic communications work alongside the sports information department and the new media studio to understand what goes on “behind the scenes” in producing televised college sports broadcasts. Working live shows on professional grade equipment, UMBC students are given the opportunity to learn and work alongside experts in the broadcasting industry, expanding their professional network while developing their skills as camera operators, producers, directors, replay operators and audio engineers. “With more and more people wanting to get into broadcasting and with the live sports broadcasting industry growing at an unprecedented rate, the initiative offers on-the-fly training that would be hard to get anywhere else,” noted Zach Seidel, UMBC Director of Multimedia Communications and the man behind the popular @UMBCAthletics Twitter account. “It would take years to get on an ESPN broadcast otherwise,” Seidel added. He also noted that many involved in the program have gone on to work broadcasts with the Ravens, Orioles and CBS among others. Schedules, livestreams and archives of non-ESPN3 produced games can be found on AmericaEast.Tv, free of charge. ESPN broadcast information can be found alongside the individual team’s schedules on UMBCRetrievers.com, with links to the broadcast posted as they become available.